Saturday, October 7th was Coach George Davis Day in Seneca Falls, as proclaimed by the Town Board. 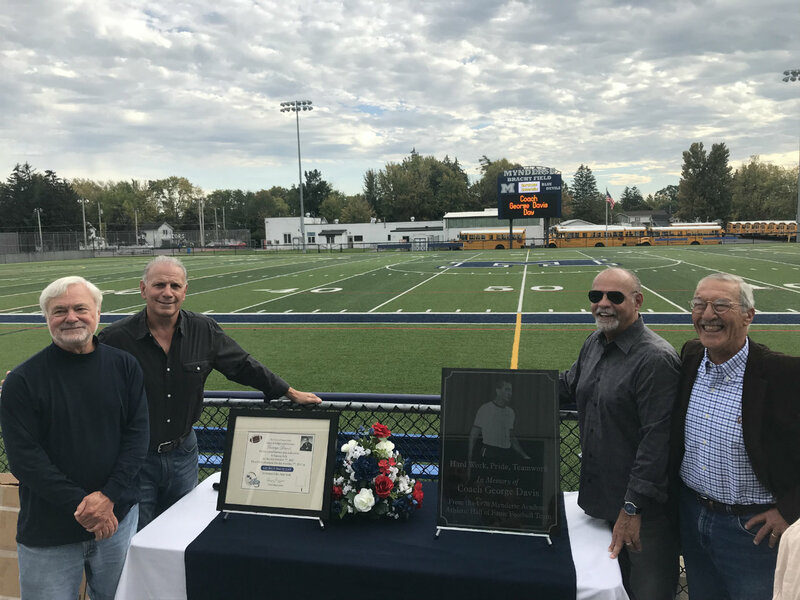 Newly inducted into the Mynderse Academy Athletic Hall of Fame, the 1970 undefeated football team donated a plaque in honor of Coach Davis at Bracht Field. In this photo, Coach Davis players, Dave Wormuth, Dave McNaney, Larry Giusti and John Capacci, display the marble plaque which will be mounted near the entrance to the field.